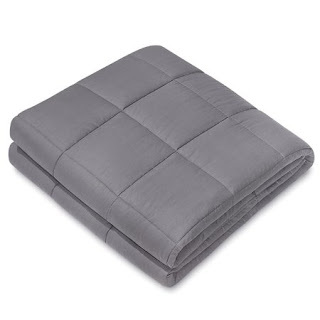 Right now over at Walmart.com you can score this NEX 15-Pound Weighted Blanket 40″X 60″ for just $59.99 shipped (Retail $249.99)! The weighted blanket utilizes deep touch pressure stimulation in order to convey the feeling of a warm hug. It helps improve your overall sleep quality and you'll wake up more rested every morning. It's helpful for people with symptoms of anxiety, ADHD, autism, insomnia, depression, PTSD, RLS and much more.